In keeping with its commitment and verve towards excellence,Zee Learn has been honored with the Franchisor of the Year Award. The award recognizes the pioneering role played by Zee Learn and its conviction to organize the unorganized education sector. Zee Learn encompasses of 3 divisions, KIDZEE the largest chain of pre schools in Asia, ZEE SCHOOLS, India's only chain of Higher Secondary schools with an integrated approach to Learner Centric Education and ZICA, a premier animation institute. The group being a robust franchisor possessing strong franchising systems and processes has marked their presence across India by launching 750 Kidzee centers across 315 cities, 61 Zee Schools in 48 cities and 31 ZICA centers in 25 cities. Speaking on the occasion Mr. Pradeep Pillai, Head Strategic Acquisition Zee Learn said, We are happy to receive this prestigious award from Franchise Plus. 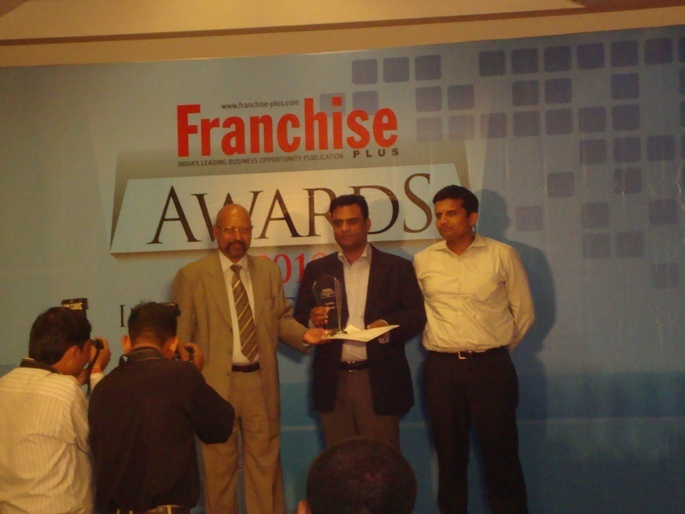 Franchise Award is one of the topmost honors in Franchising. Winning this award is undoubtedly a testimony to Zee Learn's zeal for creating successful entrepreneurs right from Preschools to Schools and Animatio n Institutes. Our approach to franchising is that of partnership and to offer them a business model with highest return.